Imagine the New Firm battling it out to see which of them would avoid the drop! And come 4.40pm, United had become favourites for automatic relgation. 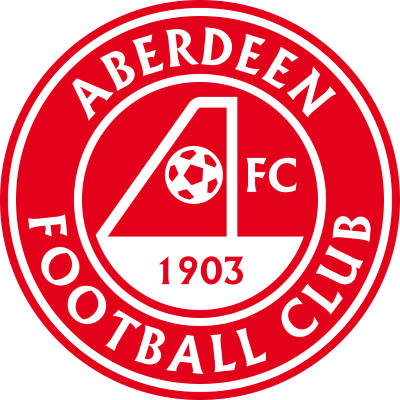 Aberdeen as expected came out like a cavalry charge, but apart from a Shearer free-kick which flew fractionally over there was little action in the immediate vicinity of Kelham O'Hanlon. After 26 minutes, there were howls from the 2400 United supporters for a penalty for handball, but the referee awarded a foul for the same offence against Scott Crabbe. After that initial burst by Aberdeen, United had come back into the game only to fall behind eight minutes from the interval. Miller chased a pass up the right and Jess met the cross to bullet in a header which Kelham O'Hanlon did brilliantly to parry, but Billy Dodds steered the rebound over the line. Buoyed by that goal, Miller swept a shot past the post and Shearer saw his header come back off the bar on the stroke of half-time. There were bookings galore at the start of the second half. Jess did hit the side-netting, but goalmouth action was strictly rationed. But midway through the second half with United on the attack, the Dons raced to the other end and a cross from Dodds was | converted by Duncan Sheerer as | he swept a low drive past Kelham O'Hanlon from the edge of the box. The Tangerines responded quickly and Snelders tipped a Jim Mclnally shot round the post and from the ensuing corner, Hetherston cleared David Craig's header off the line. 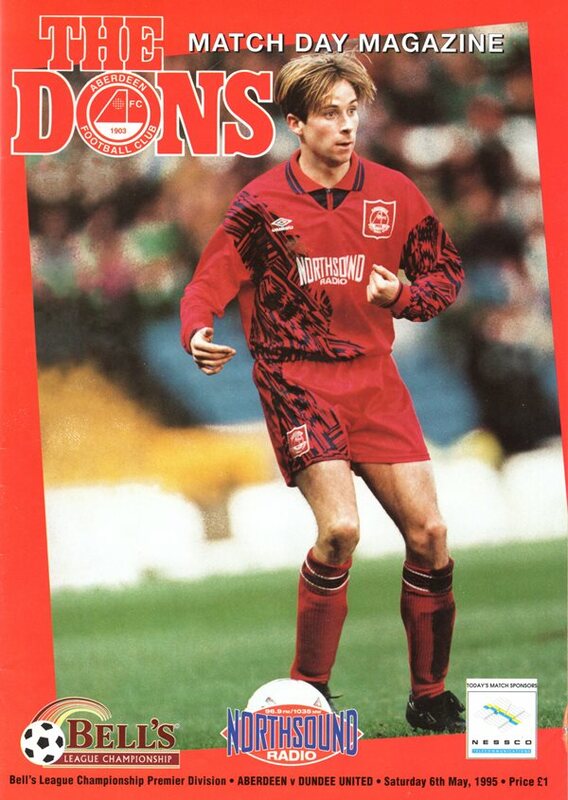 With three minutes of normal time left, United were handed a lie-line when Mark Perry hoisted the ball over from the right with the Dons defence awol Robbie Winters glanced a header into the bottom left-hand corner from six yards to reduced the arrears. It, unfortunately, proved to be too little too late and left the relegation trap-door all too wide open. Kirkwood commented, "I was disappointed with the way we played in the first half hour, but thought we had weathered the storm when they scored with what was their first effort on target."